Shirdi Sai Baba devotee Priya Subbu from India says : Koti Koti Pranaams To Shirdi Sai Baba. 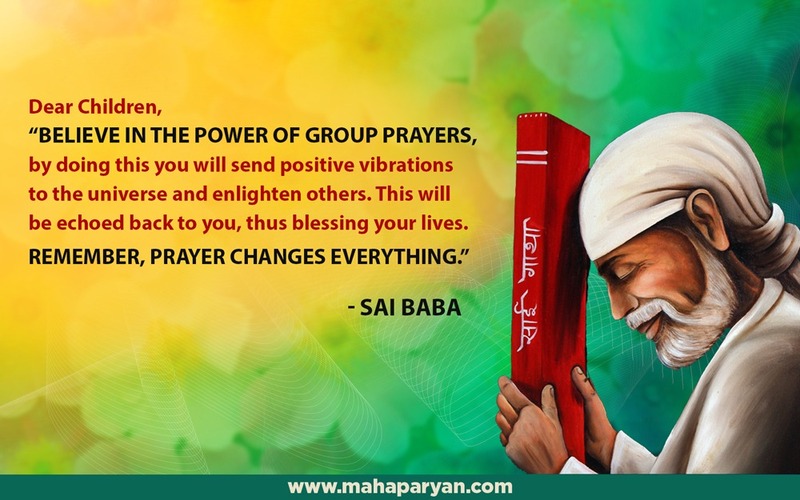 My humble prostration to You Baba and a heart full of gratitude to Poojaji and Mahaparayan team for undertaking this mammoth task of bringing Sai's children all over the world to be part of Mahaparayan. 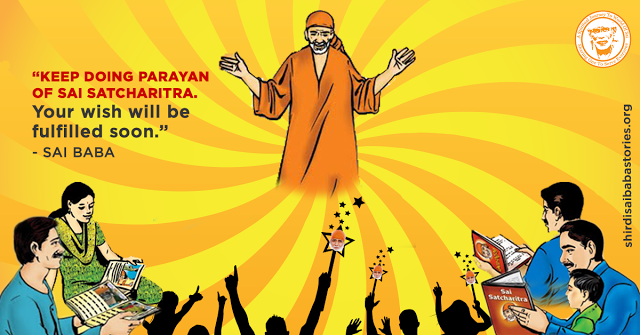 May Baba bless you all abundantly, He has chosen you all as a medium to bring His blessings to all Mahaparayan members. No words can describe how blessed and fortunate we are. Initially when the Mahaparayan started, I was a bit doubtful of myself whether I would be able to complete reading the chapters and reporting it on time. I am part of the Thursday parayan and also the 365 days parayan. The beauty is that and I am sure all Sai devotees have experienced this that when you undertake a task and pray to Baba, He ensures that you complete it somehow. With His blessings so far I have managed to read every single day at least one chapter if not more. Shirdi Sai Baba devotee Geeta Raheja from India says : My heartfelt thanks and good wishes for the nobel task you are doing which is giving the opportunity to Baba's devotees to keep their faith strong and never lose hope. I am going through a tough phase of life but every now and then I realise that Baba is there with me and won't leave me. 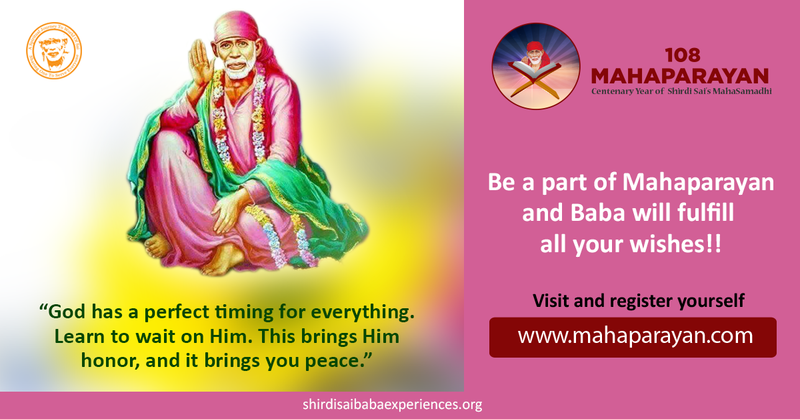 Whenever I get into any trouble any physical or mental issue Baba's Udi always helped me. I take Udi and read the devotees experiences and get the hope again and the Udi really relieves me from the tension. Shirdi Sai Baba devotee Girija ji from India says : Om Sai Ram. I would like to share a divine experience with my Sai family which happened in February 2018, after I started my Mahaparayan. On one wednesday evening I felt feverish and on checking, the fever was running rather high. As I am a fourth stage breast cancer patient and under medication in Apollo hospital, Chennai, the doctor has asked me to report if I have fever. So I contacted the doctor and to my dismay, he advised me to report to emergency immediately. Now rather than the fever, the fact that I would not be able to do khichdi parayan, Mahaparayan, Naam Saptah and Sai koti etc the next day was worrying me much. I prayed to Sai Maa fervently and took Sai Satcharitra along with me to hospital. On the safer side, while travelling towards the hospital, at 7 pm, I asked Archana ji who is a member of khichadi group to read the chapter for me and report on Thursday. She, being a divine soul, readily accepted and that gave me peace of mind. Shirdi Sai Baba Devotee Sathya Sridhar From USA: I am a Sai devotee who is also participating in Mahaparayan reading Sai Satcharithram world wide. I would like to share my experience here. I pray not but I talk to Him every day asking Him to be with me and my family. Many many wonderful experiences with Him - but this one has again proved that He is there with us every single minute. We had gone to Vermont this Christmas and it was very very cold. Though we like winter and snow, we could not handle such severe weather. On that particular Wednesday my husband had decided to do snow mobiling and as usual I was not in favour but had to play along because it was better to be with the family rather than staying alone. We went to the mobiling pace and ended up wearing really uncomfortable costumes with gigantic gloves ( it was -28 degree Fahrenheit) with an helmet. I was very uncomfortable. Much to my discomfort, my daughter decided to ride her own bike. She was very confident. My husband’s fingers were frozen and he was not very sure but he insisted that we should continue. The activity started and we ended up driving behind my daughter. All of us were going slow and we suddenly saw my daughter veering to the left and she went down and hit a tree! Three slender trees standing next to each other ( Sairam, Hanuman and Karumaari Amman, whom I Pray every day). I continue to ask myself: how did she go and hit the tree where as she could have missed it and gone down the slope. She could not control the break because her fingers went numb because of the extreme weather. Behind the tree was a slope though not a dangerous one. She hit the tree and she did not fall forward. It was a miracle that she did not fall off the bike. The people were extremely helpful. Ambulance came and took us to a hospital in Burlington, Vermont. She was in lot of pain in both her arms. In ER, the doctor and nurses were very helpful. They took an X-ray and said the following- “her left wrist is broken into small pieces, she will need a cast and may be a surgery. Right arm will know only in couple of weeks- may need a surgery there also because of the position of the bone!” They put cast in both her arms and we went back to the hotel at 11pm. Mentally we were shattered and exhausted because we saw the whole thing happening in front of our eyes. My daughter was really down. General mood was sombre but I was very optimistic (for a change) and I knew He had only saved us without an ounce of doubt. I knew He was there and is with us now as I write this. Back then, I was very calm and confident ( some unknown feeling that we are being protected- can’t describe the feeling) and was also happy because the whole situation could have been a lot more serious. We were back home on Friday. We got an appointment with the orthopaedist here in Dallas. He changed into a more comfortable cast and also said no need of surgery at that point of time. Two weeks later no damage in her right arm and she was out of the cast and left is healing very well and he confirmed that she does not need any surgery. She is out of cast now. Healed well and back to her routine. I believe, that Sai Ram tried telling us not to do it- but we still went ahead because of our ignorance but He did not let us down. He was simply there with us every step of the way until now and believe He will be with us forever and ever. Sai our most merciful mother, our Saviour is with us and protecting us. Blessed are we to have Sai as our Sadguru. Love You Sai. Jai Ho Sai. Keep Doing Parayan, Good Things Would Surely Happen ! Shirdi Sai Baba Devotee Srinivasu V From India Says : I am Srinivasu from Bangalore. 2016 was very eventful for my family where in I lost my parents within a span of 110 days. My father was a strong devotee of Baba and he used to do the Satcharitra Sapthahams. While I did parayan for few times previously I decided that I would do one chapter on each Thursday to soak in Baba’s blessings and benefit in life. The thought was to start after their first death anniversaries are completed. Shirdi Sai Baba Devotee Srinivasu V From India Says : I am Srinivasu from Bangalore. This was during the year 2004 or so. I was going through the tough patch in my life. Neither the job was in great shape nor the financial situation. Struggling to meet both ends of the day. One of the nights I had a dream, wherein I was worrying about my 10th standard exams (a weird situation where I was already qualified professional but worrying about my 10th standard exams) and also about my career. It was all dark around me and I was scared worrying and finding it difficult to identify the right direction to go. Sudden I saw a rickshaw (a tricycle for passenger transport). I got into and continued to worry. I found Baba was riding the rickshaw and looked back into my eyes and said, "why are you so worried and perplexed, when you are in my hands? I will steer you safely. Leave your worries to me." I could not believe this and woke up to my surprise that it was a dream. But the reality was that from that very day my career shaped up a lot with loads of happiness, peace, growth and joy. I found a good career progression and improved financial situation. Let Baba Who is the wire puller and controller of the Universe also control the steering of our lives and then we sure to have a wonderful ride soon but for that we need total surrender to Baba. Love You Sai. Jai Ho Sai. 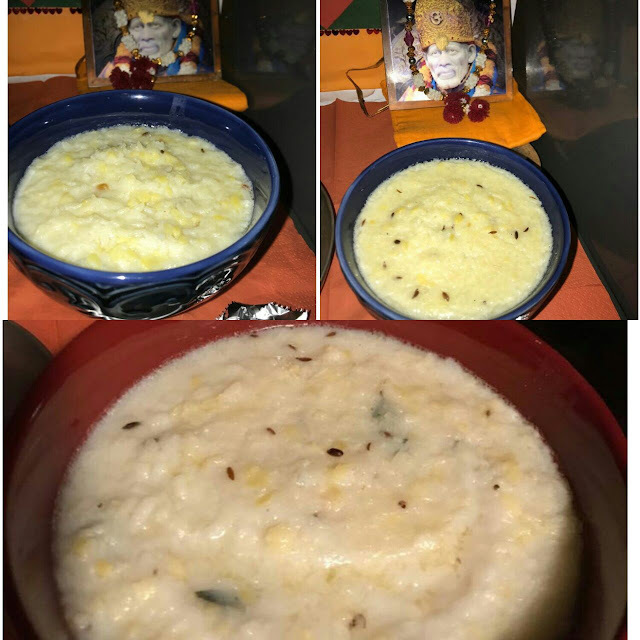 Shirdi Sai Baba Devotee Gowri Oberoi From India Says : I am Gowri Oberoi from New Delhi,One small miracle of Baba’s kindness I would like to share of this morning. Since it’s quite cold in the mornings in Delhi, while doing BMP, I keep a heater on near the chair where I sit. Yesterday something went wrong and the heater stopped working. This morning when I sat to do parayan, I was feeling cold as my hair was wet and I pulled the heater close and then remembered that it wasn’t working. I switched it on and off several times but still it wasn’t working. Then I thought of Baba just for a second and picked up the heater and banged it on the floor a little forcefully like Baba hit the satka on the wall in Chapter 11 and guess what? Immediately the heater started working!! Shirdi Sai Baba Devotee Rashmi Sangolikar From India Says : Om Sai Ram all devotees. Thank you Poojaji and entire team for this wonderful experience of global mahaparayan. I am Rashmi from India. MP 122 - Priyanka Sai group. I was selected in an interview in February 2017, at a government institute. Due to politics, one girl filed a false objection on my selection without any proof. I was shattered, my life turned upside down, I was jobless. Shirdi Sai Baba Devotee Gowri Oberoi From India Says : Hi Pooja ji, I am Gowri Oberoi from New Delhi (Class Teacher of MP-19, 365 Sai-4, Principal of AASM Monday and one of the participants of BMP) and it’s a great honour to have you as a guardian angel in this world of my spiritual family. Doing parayan, Jaap and Sai Sewa through these groups is indeed a life altering experience as everyday Baba is blessing me and my dear ones in some way or other. It gives me great pleasure to share another amazing MP miracle that happened today, (Thursday, 22-2-2018) in the evening. Shirdi Sai Baba devotee Venkatesh from India says: Sai Ram to all our Sai Ram family members and special thanks to the entire blessed team for organizing this Mahaparayan. I am a small devotee at the lotus feet of our beloved Sai Ram. Though I had earlier visited the divine Shirdi Kshetra about 20 years ago, it was just accidental and not truly intentional. Only from the last 5 to 6 years, I have become a relatively better and staunch Sai devotee for having faced serious problems in my life and career. Now, with Sai Ram’s grace, He pulled me to Shirdi three times in the recent times. Shirdi Sai Baba devotee Kokila Vaidyanathan from New Zealand says: I, Kokila Vaidyanathan, live in Auckland, New Zealand and I am part of Yellow team of the NZ Mahaparayan group on roll no 48. Loving Sairam, my wonderful Sai family across the Globe. First of all, a huge gratitude to our dearest Sai, to all of the instruments of Sai for giving us all an opportunity to be part of this Maha-Parayan. We are all a drop-in ocean of His love. He is bringing all of us together to enjoy His omnipresence, to show us that He can and will reach us in some form or the other whenever we are in need and look up to Him for help. I humbly offer my prayers at His Lotus feet and I invoke Sai to help me pen the miracles. He has made me experience. The only reason for my sharing a couple of the many experiences that He has been showing me is to help people sustain their faith in Baba no matter how hard and difficult the situations maybe that they are facing because Baba is not going to let go of our hands or fail us. Om Sai! 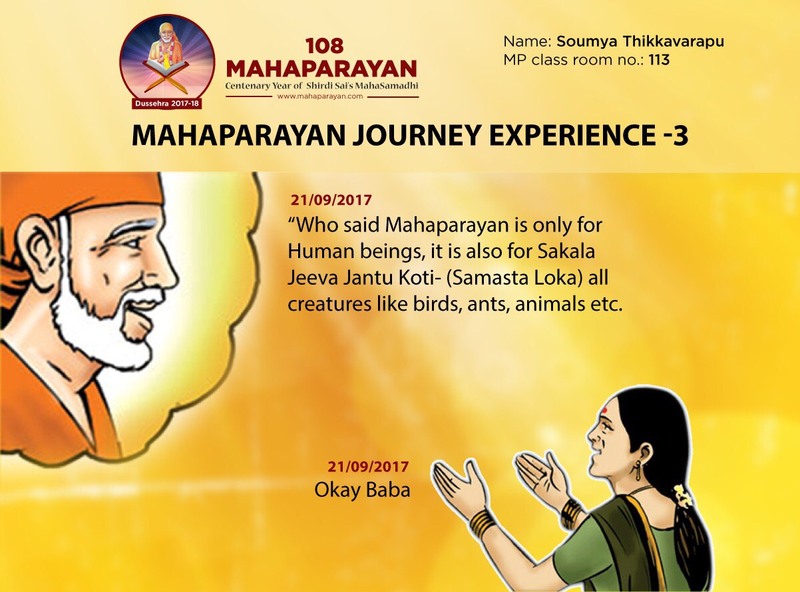 I have various experiences in my life prior to Mahaparayan and also during my Mahaparayan journey, but, the recent experiences were very profound and I felt the urge to share it with my extended Sai family.